Up and down Spain, you will find cosy corners, ancient ruins, cobbled streets, balconies adorned with flowers, white-washed villages and castles all reminiscent of Spain's colourful history. 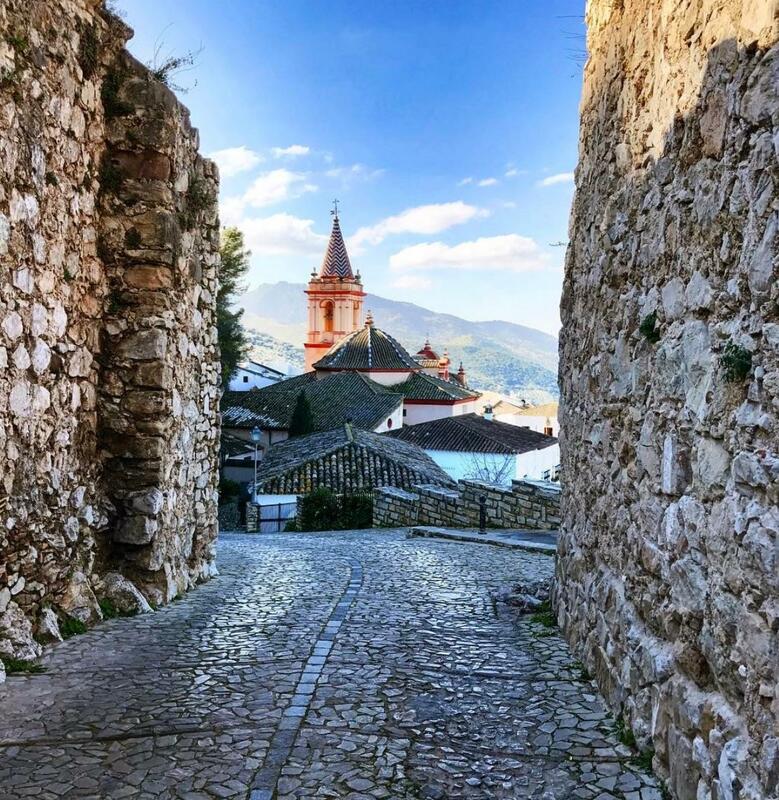 Endless adventure opportunities, discover these charming villages to help you choose where you want your rural holiday home in Spain. 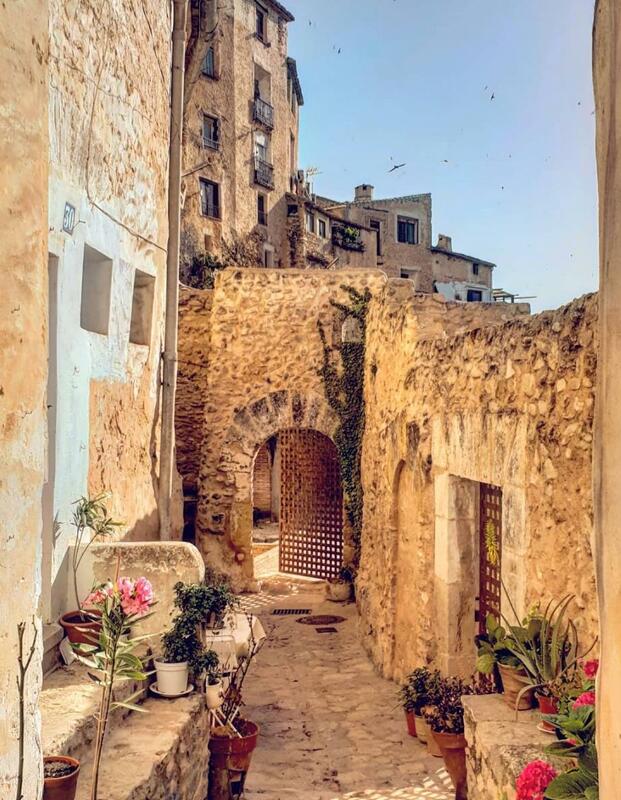 Rent a holiday home in Valldemossa, this Mallorcan village inspired Chopin so much that he named it the most beautiful town in the world, and one of the most romantic and charming villages in Spain. Its location in the Sierra de Tramuntana makes for a luxury setting, and its elegant buildings and cobblestone streets are magical. 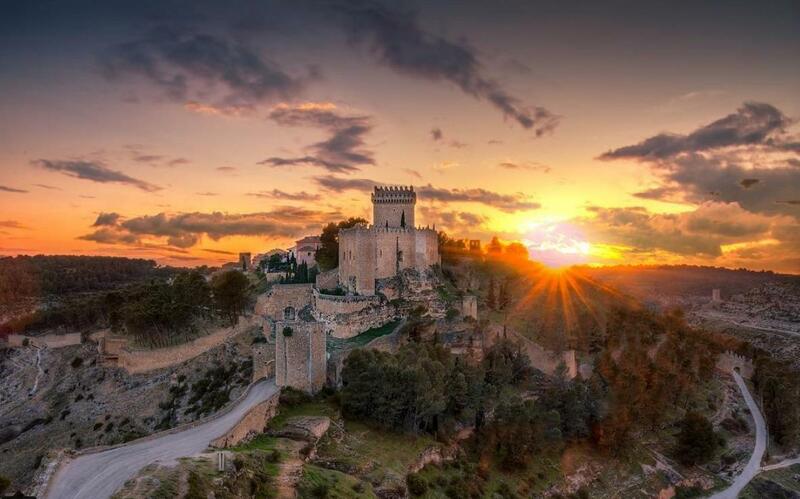 Ronda is a beautiful village, located in the Province of Málaga and is one of the most charming places in Spain. 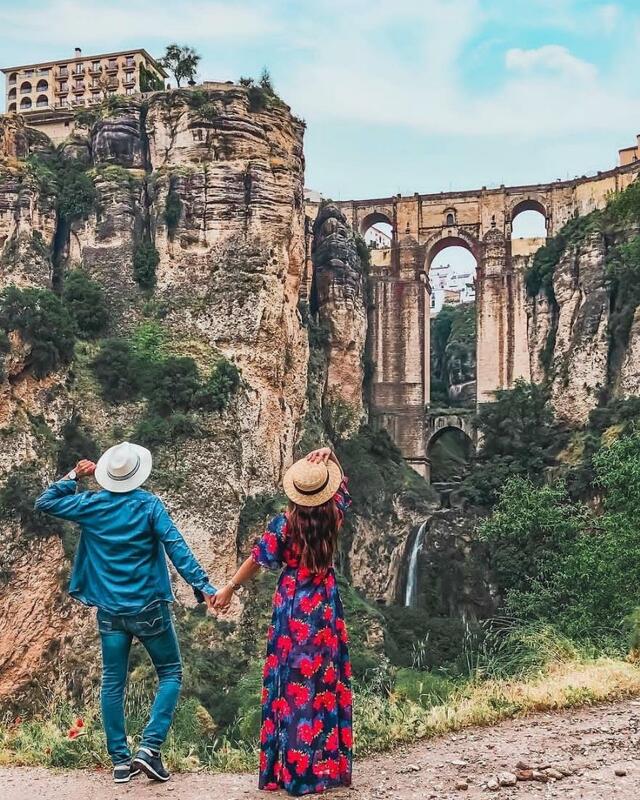 Cross the Puente Nuevo and look down into the deep 'Tajo' gorge, a must when you visit this beautiful Andalusian town. 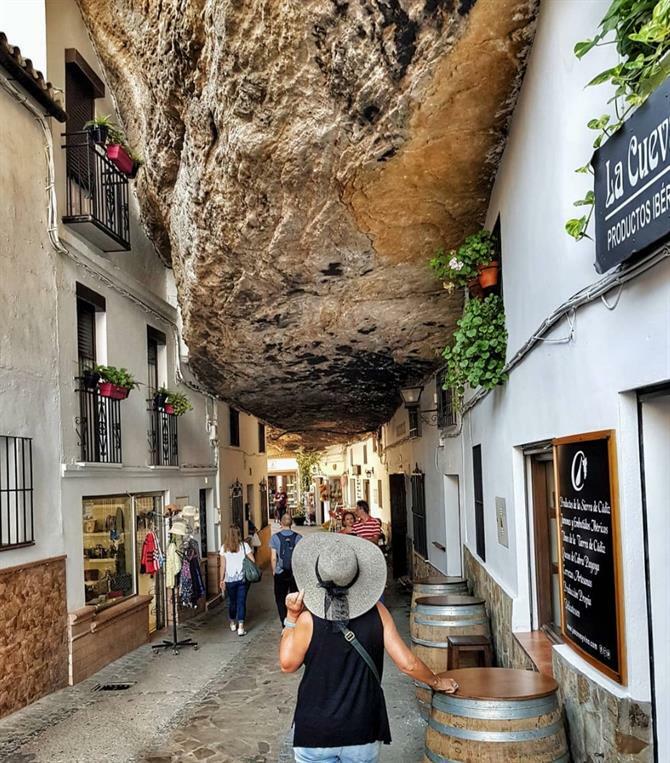 Stroll through the streets you will find many restaurants and tapas bars where you can sample their excellent cuisine - you will also have the opportunity to see the best wineries in the Serranía de Ronda and taste their famous wines originating from Sierras de Málaga. 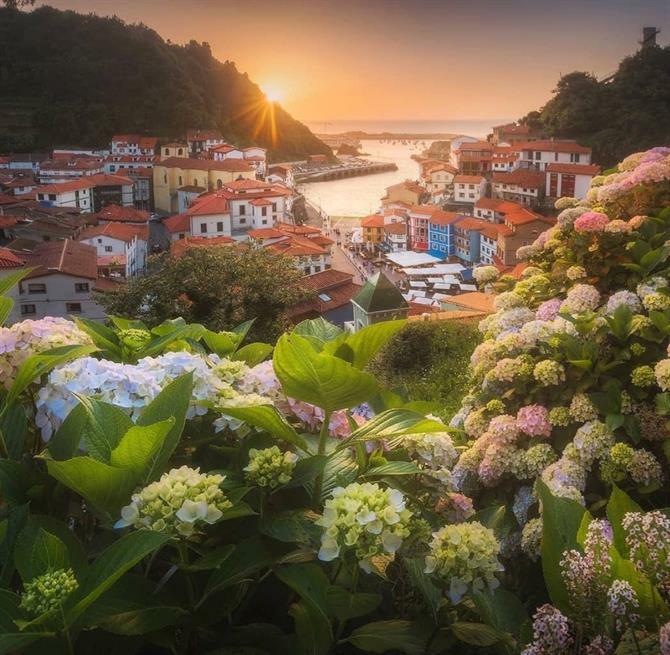 Cudillero is one of the most charming towns in Asturias. The houses facing the sea are a symphony of colours that contrast with the tones of the sea. The doorways of this fishing village are probably the most photographed and visited spots of Cudillero, with people trying to capture the true essence of this special town in the north of Spain. A village set high in the mountains and full of charm. 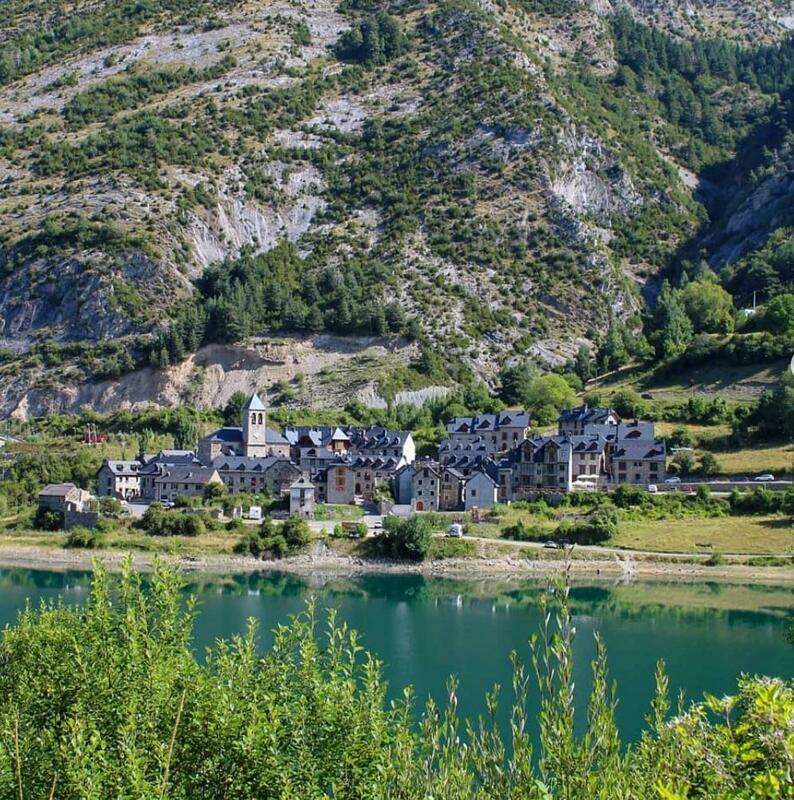 Located in the Valle de Tena within the Aragonese Pyrenees, Sallent de Gállego is a magnificent place to unwind and have a rural getaway in Huesca in a cosy house with stone walls. In addition, the ski resort of Formigal is only 15 minutes away. In the province of Cuenca, Alarcón is a town of spectacular beauty. The walls that surround it, the palaces and stately homes make it even more impressive. Walk through the narrow streets of the old town to appreciate the captivating charm of this town. The castle sits proudly at the top of a hill and can be seen from most parts of the village, it is the key monument of Alarcón and seems to be taken from a Disney film. 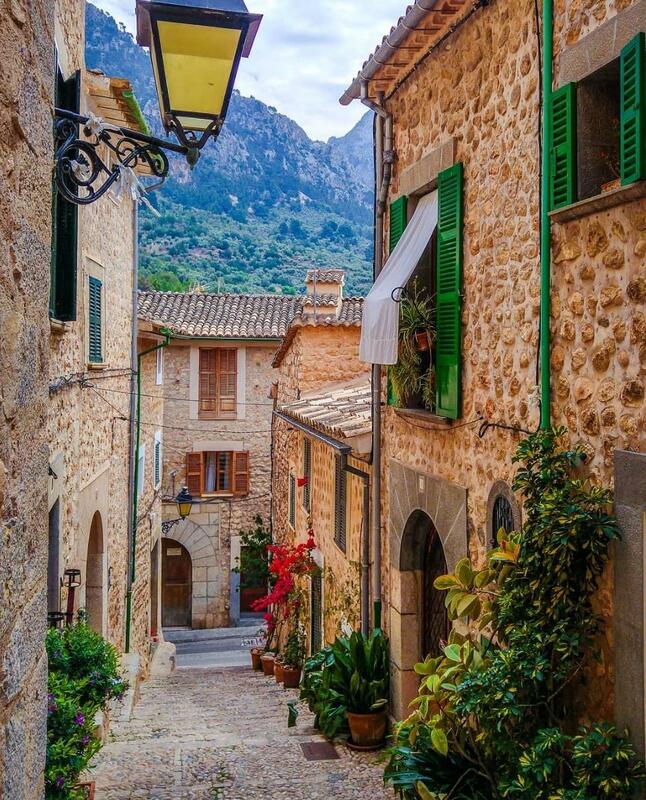 In addition to the stunning beaches of Mallorca, the island has picturesque villages such as Fornalutx, located in the Sierra de Tramuntana. 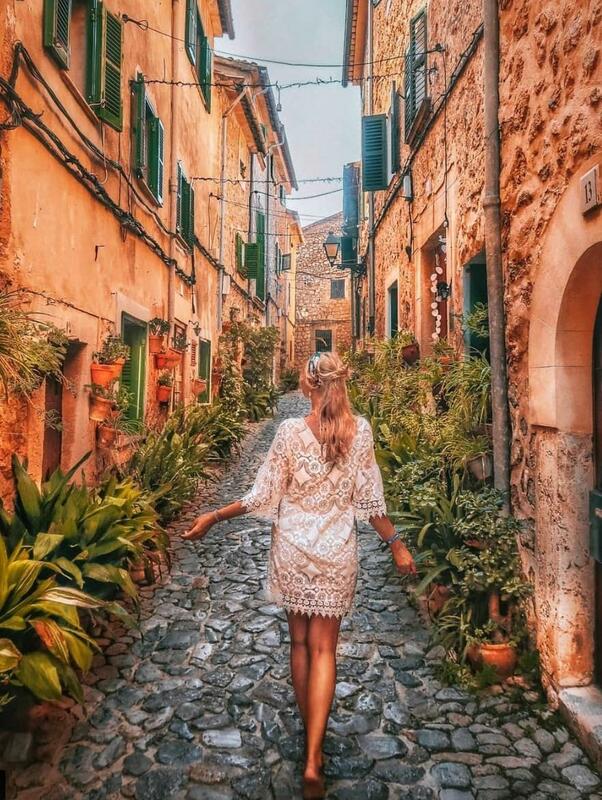 Surrounded by orange trees and olive trees, Fornalutx is a quiet place where walking through the streets you can admire the traditional Mallorcan architecture. Enjoy the most rural side of Mallorca while staying in Fornalutx. In the province of Málaga, the white village of Frigiliana is one of the most visited Andalusian towns on the Costa del Sol. Its careful and narrow cobblestone streets are a labyrinth of its Arabic past. Frigiliana is a cosy village that offers unparalleled views of the Mediterranean. The typical craft shops are a refuge for visitors. 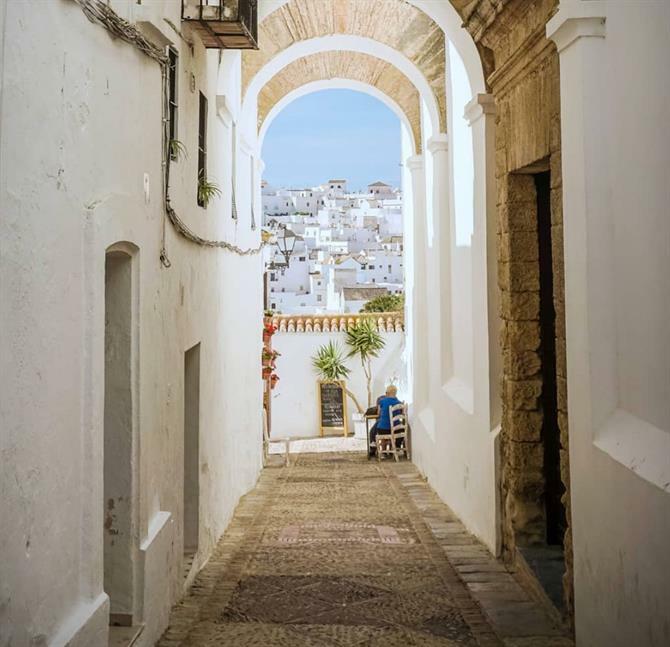 Frigiliana is too beautiful to visit in a single day, by renting a holiday home in Frigiliana you can enjoy this charming town at your own pace. 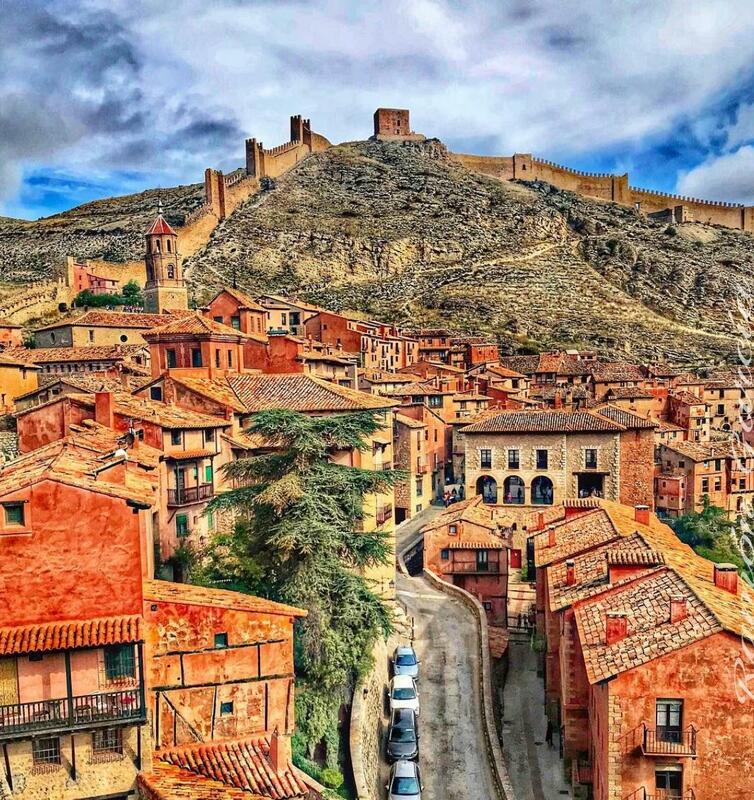 Visit Teruel and the Albarracín - a place that was chosen in 2018 as the most beautiful town in Spain and is also one of the most visited charming towns. Within the Sierra de Albarracín, this dreamy place will leave you amazed by the famous Castillo del Andador and the medieval cobblestone street and the walls that surround the town. Zahara de la Sierra is a beautiful white town that you will want to return to again and again once you discover it. Admire the beauty of the white houses and the castle that overlooks the reservoir at a great height. Share this special place with your family and friends and rent one of the beautiful holiday homes in Zahara de la Sierra, enjoy the peace and serenity in this little corner of the province of Cádiz. 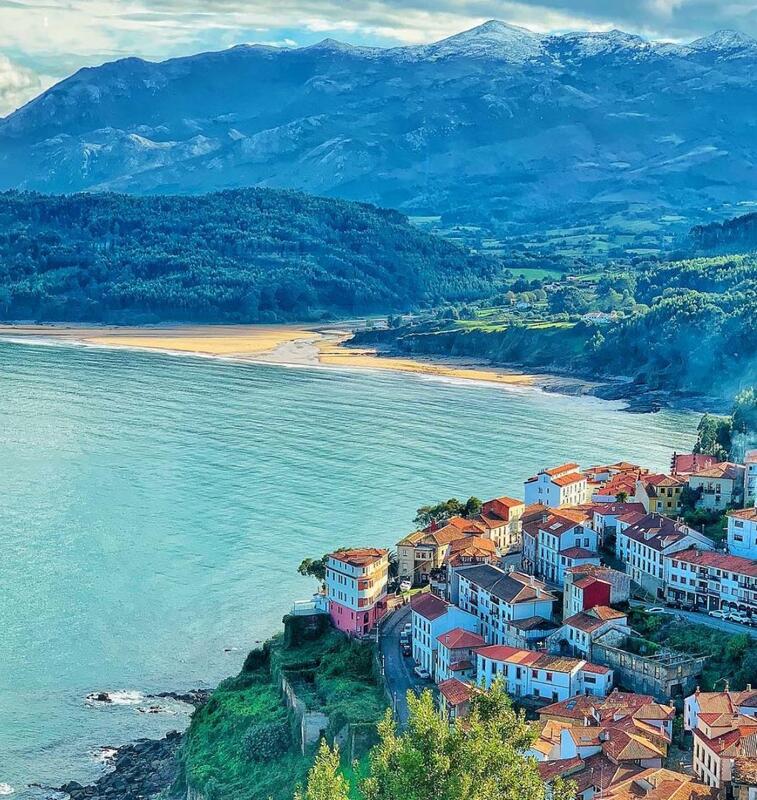 Lastres joins the list of the most beautiful villages of the Principality of Asturias. Located on the top of a hill and with beautiful views of the sea, this Asturian town is composed of endless narrow and steep streets and an architectural ensemble of impressive monuments, mansions and stately homes which is why this town has been recognised as an Artistic Historic Site. 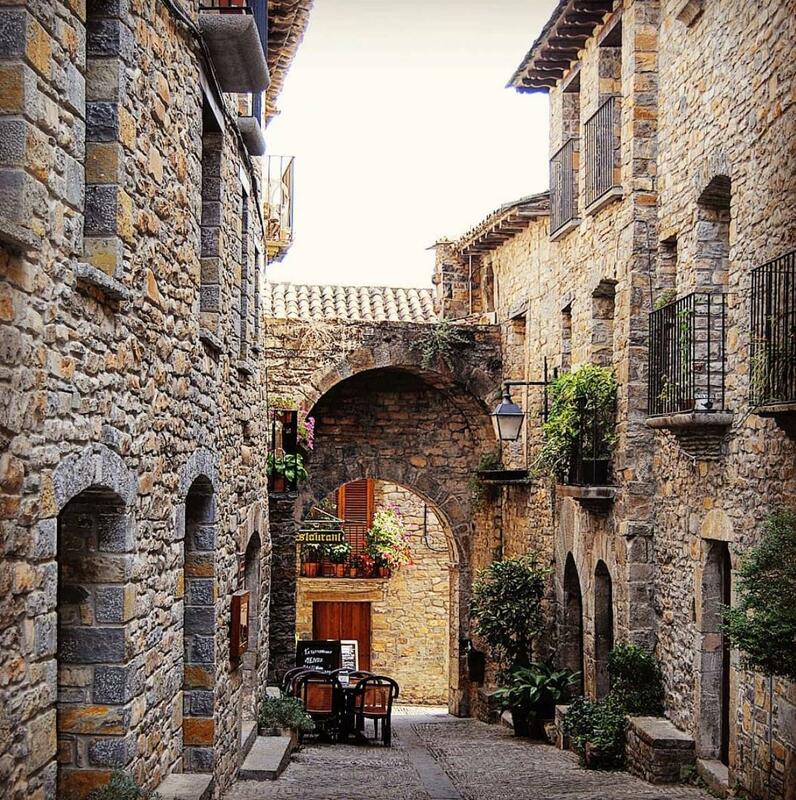 One of the most charming villages of the Aragonese Pyrenees - this medieval town preserves five doors of the walled enclosure. Crossing them is like taking a historic journey. Enjoy walking through its cobbled streets and discovering the cuisine in Plaza Mayor. If you are planning a few days of hiking in nature or skiing in the Aragonese Pyrenees, stay in a holiday home in Ainsa. If you are visiting the Basque Country you cannot miss passing through Hondarribia (also Fuenterrabía), or stay in Hondarribia to enjoy the charms and delicious Basque food in this coastal town. 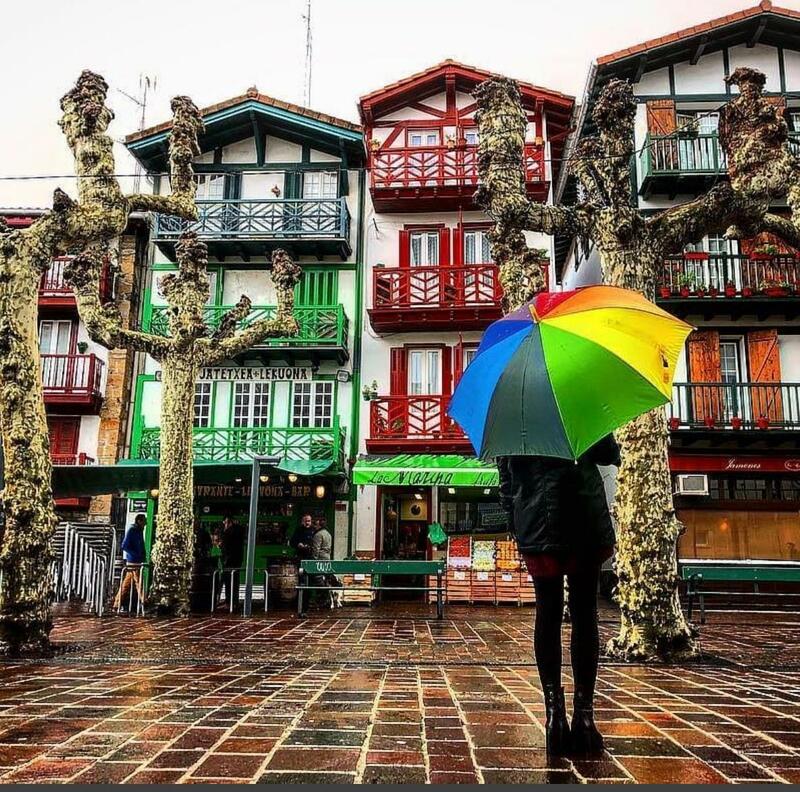 The colourful stone houses and excellent cuisine are just two of the attractions in this town only 20 km from San Sebastian. Even on rainy days the town never loses its charm. Its narrow streets and whitewashed houses are typical of this town in Cádiz. 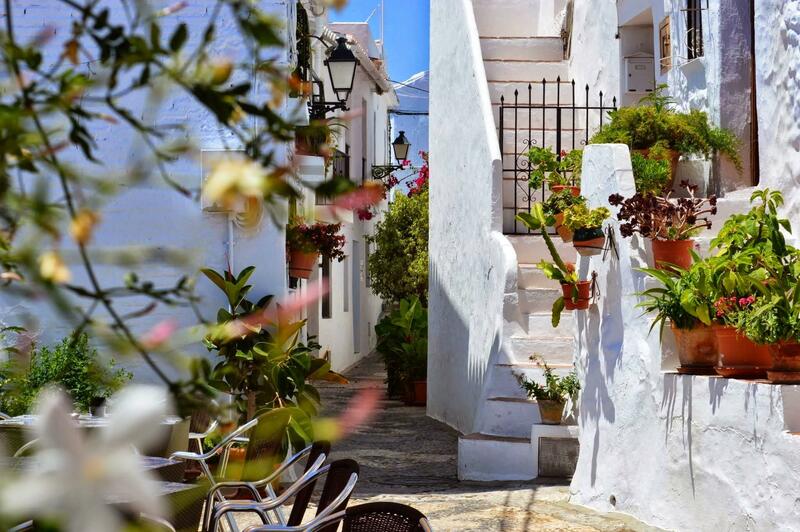 Famous for its gastronomic offering - when you are passing through the province of Cádiz rent a holiday home in Vejer de la Frontera. The Arch of the Nuns in this image is one of the most visited monuments of the town - next to the Nun's Monastery set in the old Jewish quarter. Part of this town it is attached to a large rock that imposes over some of the picturesque streets - it is the biggest attraction of Setenil as well as its distinctive setting with a narrow gorge extending along the Trejo river. Holiday in Sierra de Cádiz and sample its famous gastronomy, especially chorizo made from pigs bred in the hills surrounding the town. 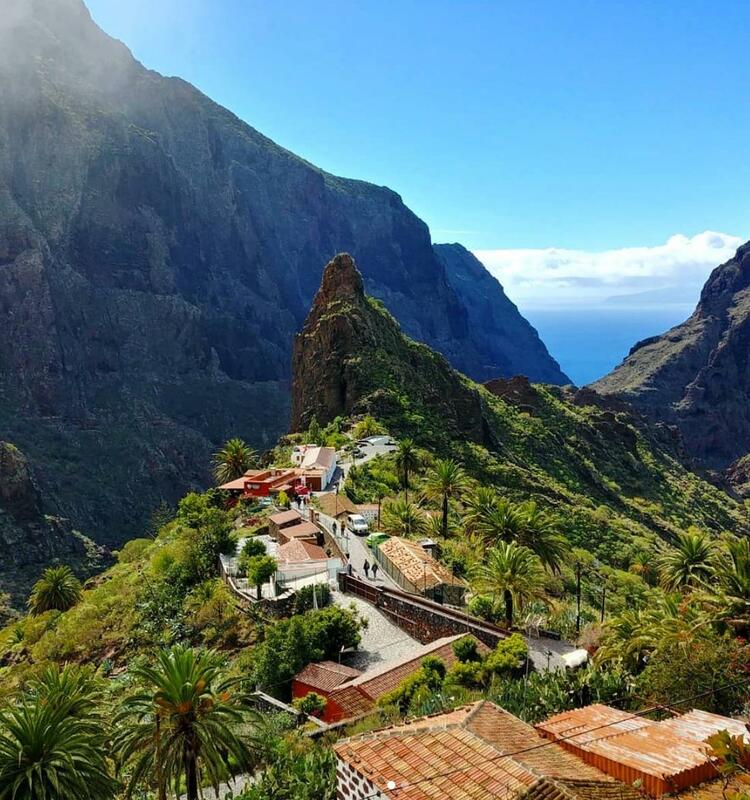 If you want to see the more rural side of Tenerife, then Masca is the destination for you. It is a small village with only 150 inhabitants and whose houses are literally built on ravines. Its location in the Massif of Teno and set of hamlets is what gives Masca all of its charm. The town of Mojácar in Almería always appears in the rankings of the most charming towns in Andalucia. 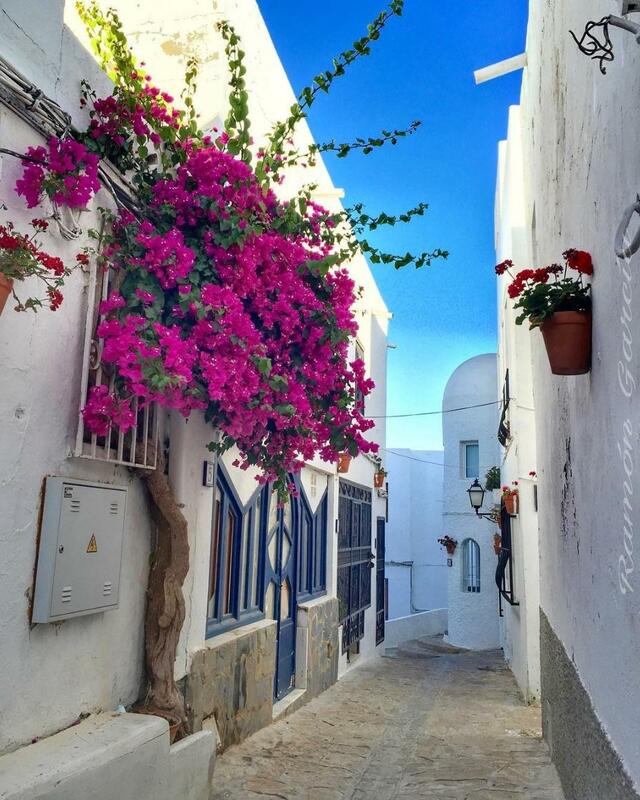 A typical picture of a white Andalusian village, with narrow streets and whitewashed houses that adorn their balconies and bars with colourful flowers. The various civilizations that have passed through Mojácar have left traces that make staying in Mojácar even more special.